Stornoway Airport, Stornoway, Isle of Lewis. 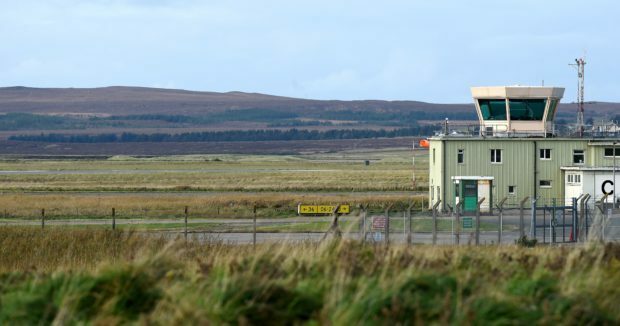 State owned Highlands and Island Airport Limited (Hial) is returning to court to try and prevent a group of crofters from taking over Stornoway Airport. The Scottish Land Court recently ruled villagers in neighbouring Melbost and Branahuie legally control the airfield site. The government never returned the grazing land after using it as a military base during WW2. Crofters pointed out different government agencies occupied over the land over the decades but never acquired legal title or became the owner. The airport company which wants to sell part of the land to a housing developer admitted they had no record of ownership. The court decision stated the airport was never taken out of crofting tenure nor compulsory purchased, meaning Hial do not own the airfield while adjacent villages actually hold the rights. A Hial spokesman confirmed it has lodged an appeal to contest the Land Court outcome. Melbost grazings clerk, Angus Campbell, said crofters would defend the latest move. He urged Hial to come to talks with the crofters to discuss how the airfield can continue to run continue alongside crofting activity. Mr Campbell said: “We are not trying to impinge on airport operations. We are looking to put up fencing to try and put livestock on the land” at the present boundary with the village. Last month, Hial failed to obtain a court order to prevent crofters from carrying out any agricultural activity around the airport. The judge, Lord Minginish, ruled it was outwith the court’s jurisdiction to issue such an order. Recently crofters put sheep to graze in a field within the airport boundary but safe from any aviation operations. The row stems back to the outbreak of WW2 when the government moved onto the communal grazings surrounding the then tiny airstrip. Lord Minginish and agricultural expert Tom Campbell presided over a hearing of the Scottish Land Court in Stornoway in December. In court the airport company admitted they do not have any documents showing ownership but maintained all crofting rights were extinguished.